Question #1: A CANDID QUESTION! Question #2: DON’T PULL THE RING! We also need to explain an important principle of the Shabbos laws called mekalkeil – literally, ruining. In general, a melachah activity is prohibited min haTorah only when the direct results are beneficial. An act whose direct result is destructive is not prohibited min haTorah but only miderabbanan. For example, digging a hole in the ground when one needs the earth but is not interested in the hole is considered a destructive activity and therefore prohibited only miderabbanan. The need to acquire dirt notwithstanding, the dug hole that results is not a positive development, but a negative one. This renders the burrowing mekalkeil and relegates it to a rabbinically prohibited activity. However, digging a hole to plant or to create a posthole is a positive benefit and therefore prohibited min haTorah. In a similar vein, smashing a barrel to obtain its contents is prohibited only miderabbanan, regardless of the need to obtain the food inside, since the smashed barrel is a negative result. The Torah violation of Boneh includes performing any type of home repair or enhancement, even only a minor repair (Shabbos 102b). Thus, it is prohibited min haTorah to hammer a nail into a wall in order to hang a picture (Rashi, Eruvin 102a s.v. Halachah). Similarly, one may not smooth the dirt floor of a house, because this enhances the “structure” (Shabbos 73b). Does the melachah of Boneh apply only to items connected to the ground, or does it also apply to the construction of implements and other movable items? My desktop dictionary defines “construct” as “to build or form by putting together parts.” Clearly, in English “construct” includes manufacturing implements, just as it includes building on the ground. Do the laws of Shabbos similarly recognize that assembling implements violates this melachah? (1) The melachah of Boneh includes only building on the ground and does not include movable items (Rashi, Shabbos 47a s.v. Chayov; Beitzah 11b s.v. De’ein). (2) Major construction of small movable items is prohibited min haTorah, but minor improvement is not (Tosafos, Shabbos 74b and 102b). What is considered “major construction”? Assembling something in a way that involves strength and skill constitutes Boneh. Therefore, manufacturing implements is prohibited min haTorah, since it involves both strength and skill to do the job properly, whereas making a minor repair to an implement is not included under Boneh. According to many authorities, there is another factor to consider: the size of the movable item (Rashi, Eruvin 35a s.v. Umasnisin). In their opinion, one may not perform even a minor repair or enhancement to a utensil so large that one does not usually move it when it is full to capacity. Thus, even a small repair to a refrigerator or a bookcase is prohibited min haTorah according to this opinion, since an item this large is halachically equivalent to something attached to the ground. Soseir, demolishing or razing, is also one of the 39 melachos, since the Jewish people disassembled the Mishkan whenever they moved it from place to place (Shabbos 31b). Thus, removing something from a structure, such as removing a nail from a wall, or lifting a window or door off its hinges, is prohibited on Shabbos. How can Soseir be prohibited min haTorah as one of the 39 melachos; is not demolishing always a destructive act? The answer is that Soseir is prohibited min haTorah when the destruction is constructive, despite the apparent contradiction in terms. The disassembly of the Mishkan was an act of demolition, yet it was constructive, since Hashem wanted the Mishkan (and the Jewish people) to move to a new location. Similarly, demolition of a building is prohibited min haTorah, if the ultimate results are beneficial, such as razing part of a building in order to renovate it, or razing a building in order to build anew on the site. In such cases, the demolition provides an immediate benefit, since it clears the site for the new construction. The authorities dispute whether someone who destroys something out of anger violates Shabbos min haTorah or only miderabbanan. According to most Rishonim, this incurs only a rabbinic desecration of Shabbos, since there is no positive benefit from the destruction (Pri Megadim 314:11 in Eishel Avraham). Of course, this act is prohibited for a variety of reasons, including bal tashchis (unnecessary destruction) and damaging one’s character development (Shabbos 105b). There is a minority opinion of the Rambam, who holds that wrecking something out of anger incurs a Shabbos violation min haTorah. He rules that performing an act that makes its perpetrator feel better incurs a Torah violation and is not considered mekalkeil, even though the act is extremely damaging both to the object of his wrath and to himself. Does Soseir apply to Portable Implements? 1. Some contend that the melachah of Boneh includes only building on the ground. 2. Others contend that major construction of small movable items is prohibited min haTorah, but a minor improvement is not. 3. Many authorities contend that this previous dispute refers only to small, easy to move implements, but that a large implement is definitely included min haTorah within the melachah of Boneh, even to perform a minor repair or enhancement. Since Soseir is the opposite of Boneh, if constructing an item constitutes Boneh, according to the opinions above, then destroying it is Soseir. Before we analyze the Gemara texts that impact on our original questions, we still need to discuss one other prohibition: the melachah of Makeh Bepatish, which includes a general prohibition of completing items, such as smoothing a surface to finish an item. One aspect of this melachah is that it prohibits making a nice opening in a vessel, such as boring an outlet hole in a storage drum (Shabbos 146a; Rambam, Hilchos Shabbos 10:16). The Gemara teaches that it is prohibited min haTorah to make an opening that is to be used in both directions, whereas making an opening to be used only in one direction is prohibited miderabbanan. As an example of the first type of opening, the Gemara mentions an opening made in a chicken coop, which allows ventilation of its fumes and also allows light and/or air into the coop. Boring an outlet hole in a storage drum, the case I just mentioned above, is a classic example of something prohibited only miderabbanan, since the opening is intended only to remove the product, but not to return it to the vessel. However, creating a new opening that is meant both to remove and return product incurs a Torah prohibition. With the principles we have learned, we can now examine the Talmudic sources that directly affect our original questions: May one open a can or other package on Shabbos to obtain its contents? The Mishnah (Shabbos 146a) permits smashing open a barrel of figs on Shabbos to reach the food inside, provided one does not try to make a proper opening. As I noted earlier, attempting to make a proper opening certainly desecrates Shabbos. The question is whether one can simply break the barrel to reach its figs without attempting to make a nice opening. This Mishnah states that this is permitted. However, in another discussion (Eruvin 34b) the Gemara rules that one cannot break open a container to obtain the food inside. Since manufacturing a proper vessel, even a small one, is prohibited min haTorah, smashing it remains prohibited even when one is smashing the vessel to obtain food. Although I explained above that this act is mekalkeil and therefore not prohibited min haTorah, it is still prohibited miderabbanan. If so, how can the Mishnah permit smashing a barrel to obtain its contents? There are two major approaches to answer this question. Tosafos explains that the Mishnah that permits smashing to obtain food is not referring to a proper vessel, but to one that was previously smashed and then feebly repaired by use of resin as glue. Reconstructing this type of container, known in Aramaic as a mustaki, would not violate a Torah violation of Boneh since it is not considered a proper vessel. As a result, smashing this barrel does not really violate Soseir, and therefore, one may do so in order to obtain the figs. However, the Gemara in Eruvin is dealing with a regular vessel and therefore forbids smashing the vessel to obtain the food inside. This approach of Tosafos is followed by the Shulchan Aruch (Orach Chayim 314:1), who concludes that one may smash open a mustaki to obtain food on Shabbos, but not a proper vessel. Other authorities distinguish between the two cases in a different way and therefore reach a different halachic conclusion. In their opinion, the Mishnah in Shabbos is describing a small vessel (as defined above) and the Gemara in Eruvin a large one. They conclude that in order to enhance the pleasures of Shabbos, Chazal permitted smashing a small vessel to obtain food, but they prohibited smashing a large vessel. According to this approach, one may smash open any “small” container on Shabbos in order to obtain its contents. The Mishnah Berurah concludes that it is prohibited to smash open even a small vessel to obtain food on Shabbos, following the conclusion of the Shulchan Aruch (Bi’ur Halachah 314:1). Other authorities rule that one should not admonish those who smash vessels to obtain their contents, since this common practice is based on a bona fide opinion (Aruch Hashulchan 314:8). All agree that one may not open the container in a way that creates a nice opening. However, this approach does not satisfactorily explain those who permit opening cans on Shabbos, since neither of these opinions permits being mekalkeil to obtain food on Shabbos. They only dispute whether one should correct those who do smash small vessels. Is there any basis for those who allow the opening of cans on Shabbos? There is another basis to permit opening packaging on Shabbos. The Gemara mentions a halachah of chosalos, which are a type of basket made of palm branches (also known as lulavim) in which one places unripe dates to ripen or where one stores dried figs. The Gemara rules that one may rip these chosalos open on Shabbos. The question is why this is not considered destroying a vessel, which we concluded before is prohibited, at least lechatchilah. The Kolbo explains that chosalos are considered an artificial peel or shell around the dates or figs. The rationale is that the chosal is tafeil, secondary, to the food it contains and therefore it is not considered to be a vessel. Just as one may remove the natural peel or shell of a fruit on Shabbos and it is certainly not making or destroying a vessel, so one may remove an artificial “peel” or “shell” on Shabbos. Thus, anything included under the heading of chosalos may be opened on Shabbos. The Magen Avraham states that the permission to open chosalos does not permit the breaking of a regular vessel. Can our contemporary packaging be compared to the law of chosalos? To answer this we need to have a clear definition of what defines a regular vessel and what defines chosalos. In a lengthy teshuvah on the subject, Rav Moshe Feinstein defines a chosal as any item that is not reused for any other product; everyone disposes of the chosal once its product is used up. A “regular” vessel is one that people reuse for another product. According to this definition of a chosal, even a tin can is a chosal, if everyone disposes of the can after finishing the original contents, and certainly if everyone disposes of the can immediately after opening it. Following this analysis, opening cans on Shabbos does not violate the melachos of Shabbos, since tin cans are not reused for other products. (In Rav Moshe’s teshuvah on the subject, he implies that this halachah is true, even if one returns the original product to the chosal.) Rav Moshe himself concludes at the end of his teshuvah that one should open these packages before Shabbos, explaining that people might misunderstand the laws and mistakenly open packaging that is prohibited. However, in the case of someone who made a sheva berachos or who invited guests and finds, to his embarrassment, that he does not have enough food to serve, he permits having a gentile open the cans and other containers on Shabbos (Shu’t Igros Moshe 1:122; for a similar approach, see Shu’t Chelkas Yaakov 3:8). On the other hand, other authorities contend that any strong vessel is not considered a chosal. Rav Shelomoh Zalman Auerbach permits opening soda cans on Shabbos (Shulchan Shelomoh 314:7:4). He makes no mention of the concerns voiced in Rav Moshe’s closing paragraphs (that people might err and exceed the perimeters of his leniency) and therefore concludes that even Jews may open them on Shabbos. 1. The opening is meant to be used both ways: it allows air inside the can to break the vacuum and it allows the product out. 2. Opening a can is like creating a new vessel, since the closed can is useless, and opening it creates a serviceable vessel. Although he acknowledges that few people reuse cans, they can be reused, particularly by resourceful people (Orach Chayim 51:11). 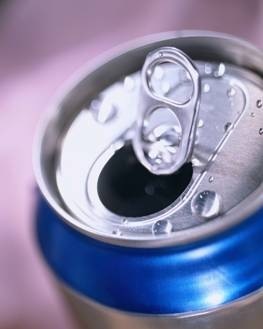 Rav Shelomoh Zalman disputes the rationale that a soda can opening is considered “two-way”, since the entire purpose of allowing the air in is to enable the product to exit. Also, he does not consider the resultant opening a “nice opening”, since it is simply a means of removing the product from the container. In conclusion, the intent of this article is not to provide a definitive pesak regarding these issues – every person should ask his posek. Our goal is to give people a better understanding of the issues involved and an appreciation of their rav’s ruling, whatever it may be. Previous Previous post: What Are the Basic Rules of the Jewish Calendar?